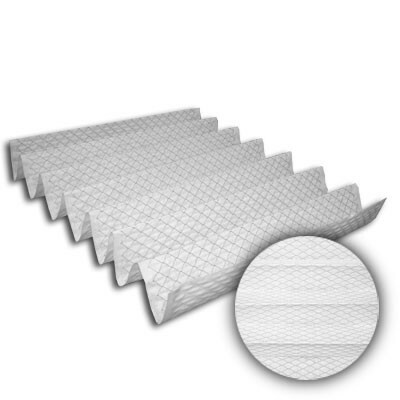 20x25x4 Pleated Insert Astro-Pleat Merv 8 | Air Filters, Inc.
inserts Inc.™ Astro-Pleat™ MERV 8 seasonal 4-inch pleated inserts effectively reduce/remove pollen, dust, pet dander and dust mites for circulated indoor air. 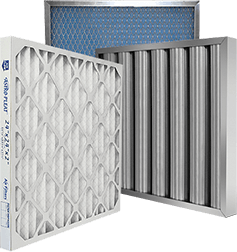 Filtering these airborne particles can help alleviate allergies and sinus irritation that can cause watery eyes, itchy throat, coughing, and sneezing. Additional benefits are extending the life of your Air Conditioning / Furnace system by allowing the system to work more efficiently and economically. inserts Inc.™ Astro-Pleat™ MERV 8 seasonal 4-inch pleated inserts use the optimum blend of synthetic fibers to insure high dust holding capacity and filtering efficiency. * MERV 8 seasonal pleated inserts contain 9 pleats per linear foot which creates a greater surface area to catch airborne particles.